Since then, the words have been obscured by an entire sleeve of the Titanomachy, of such complexity as to put Pheidias to shame, which is why, for a brief period of time, we called him Elgin. Now he is known as Abdul, owing to the fact that, sitting by Coburg Lake one day, we were approached by a friendly group of males with beards of length and volume almost as large as Abdul’s. They proceeded to admonish us about the evils of eating kebab during Ramadan, whereupon Abdul informed them we were not muslims. As they walked away, one of the young men, crestfallen, remarked to the other: “That’s the problem with these hipster f….s. You can’t tell who is who anymore.” He has laboured under the sobriquet of Abdul ever since. Generally, Abdul is to be avoided during the month of January for he is tennis mad and not content in immersing himself completely in his passion, deems it fit also to subject it upon others, so that a visit to his house entails: being compelled to watch Abdul, eyes fixed upon the television screen, yelling words of encouragement to his idols, being admonished to shut up whenever attempting to open a topic of conversation unrelated to the match and most heinously, being forbidden to leave. Perceiving my non-committal response, he continued, draping a bear arm upon my cervix: “See this is the kind of thing we need. Someone to show the world who we really are. So they can stop picking on us and pushing as around. Now we have shown them, the κερατάδες.” He proceeded to emit whoops of Hellenic exultation with great gusto and increasing frequency. “So, what you’re saying is that if we were all good at tennis, non-Greeks would like us, whereas now they don’t, because we aren’t good at tennis? Does this apply specifically to tennis, or do we have to be good at other sports as well? If so, how many, and which ones? And what is the critical mass of sports-competent Greeks that needs to be achieved before significant attitude shifts are observed and re-alignments in geo-politics ensue?” I enquired. “Living in the country might help,” I offered. Abdul jumped from his seat excitedly. “Pistol Pete! Legend, dead set Greek legend,” he exclaimed. Abdul seemed troubled by this. “Whose father is Lebanese…kind of like Digenis Akritas,” I concluded. 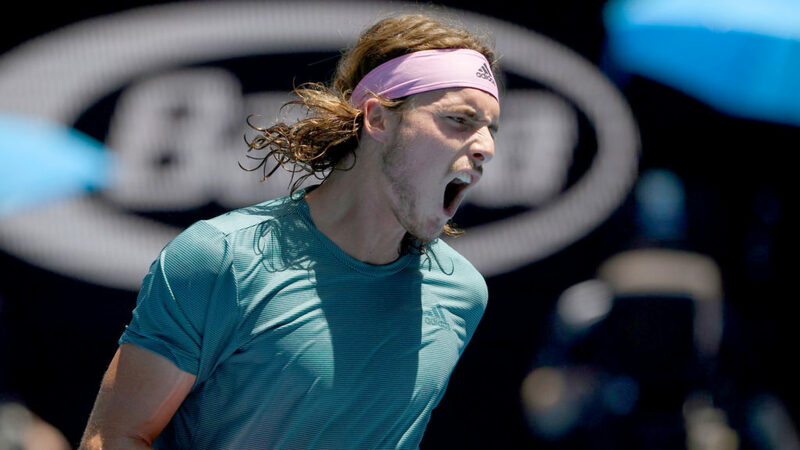 Who is Stefanos Tsitsipas? And why are Greeks making so much noise about him?